Enjoy these low fat sweet potato recipes! Did you know that sweet potatoes are a Native American plant? They’re one of the most nutritious vegetables, packed with calcium, potassium, and vitamins A and C.
2. Combine yams, oil, and rosemary in a large bowl; toss gently to coat. 3. Place yams on a baking sheet that has been lightly coated with spray. Bake for 45 to 50 minutes, or until tender. 2. Combine sweet potatoes, oil, and rosemary in a large bowl; toss gently to coat. 3. Place sweet potatoes on a baking sheet that has been lightly coated with spray. Bake for 45 to 50 minutes, or until tender. 2. Combine sweet potatoes and oil in a medium bowl; mix well. 3. Season with salt and pepper; mix well. 4. Layer sweet potatoes on a baking sheet lightly coated with spray. 5. Bake for 10 minutes; turn and bake for an additional 10 minutes, or until sweet potatoes are tender-crisp. 1. Fill bottom of steamer with 2 inches of water; bring to a boil over high heat. Place sweet potato in top of steamer; steam for 5 to 7 minutes, or until fork-tender. Set aside. 2. Combine egg whites and egg in a small bowl; whisk to blend. 3. Heat oil in medium skillet over medium heat. 4. Add egg mixture; cook, stirring frequently, for 3 to 4 minutes, or until set. 5. Place eggs and sweet potato on a serving plate. Sprinkle sweet potato with rosemary; serve immediately. Tip: Sweet potato can also be cooked in a microwave. Pierce clean sweet potato 4 to 5 times with a fork. Microwave on high for 4 to 5 minutes, or until tender. Peel and cut into pieces. Here are your summer fitness tips! Although you may have heard this information before, it doesn’t hurt to get a refresher course in summer safety. I hope these will keep you cool. Hydrate, hydrate, hydrate! Drink plenty of fluids (preferably water) before, during, and after physical activity. If you’re not hydrated, your muscles will fatigue faster, and your ability to recover will be greatly impacted. It is recommended that you have 8 glasses of water a day. Avoid alcoholic and caffeinated beverages. Enjoy the outdoors. Outdoor activities don’t have to be running and biking. You can enjoy gardening, swimming, jumping rope, or running through the sprinkler with your kids. You can even visit the local state parks for a family hike. These are all great ways to burn calories and have fun. Find an exercise buddy. When possible, exercise with a friend or family member. It’s safer and more fun! Track your fitness. No matter what time of year, tracking your activities leads to success. You can do it the old-fashioned way, a notebook/journal, or with a fitness app on your phone. Whichever works best for you. Exercise smarter, not harder. Work out during the cooler parts of the day— early in the morning or early in the evening. Decrease exercise intensity and duration at high temperatures or humidity. If it’s too hot and humid, take your exercise inside – to the gym, the mall or anyplace else where you can stay cool. Our workout dvds are perfect for hot summer days! Unless you’re training for an event that takes place in the daytime heat, avoid exercising from 10 a.m. to 3 p.m. It’s the hottest part of day. Wear minimal amounts of clothing. It’s not sweating that cools you off, it’s the evaporation of sweat. Wear lightweight, light-colored clothing in breathable fabrics such as cotton. Earlier this summer my oldest daughter and I completed our first 5K, The Birmingham Color Run. It was a blast! We walked the course mostly, at a fast pace, but added a few sprints here and there. Trying to keep up with a 20 year old was pretty challenging, I have to say! I really recommend races like this, especially if you’re a newbie like I was. No pressure. Take it easy, go at your own pace, and take a few friends. It’s all about fun, fitness, and a good cause! Click here to join our community and keep up to date with the latest information, like Summer Fitness Tips! PiYo workouts are finally here! This is a brand new home fitness program by Chalene Johnson. You may know her from TurboJam, Chalene Extreme, and TurboFire, which are all excellent, high-energy workouts. Well, this one is a little different. It’s a 60-day, low-impact fitness program inspired by yoga and pilates, but it keeps you moving. No holding those poses for what seems to be FOREVER! 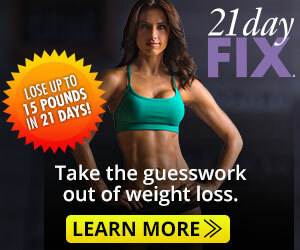 It’s designed to burn fat, strengthen and sculpt your body without all of the jumping around. There’s also a modifier for anyone who’s never tried yoga before, or for those of us who are out of practice. I just started the program and I love it so far! I’m already more flexible and I feel so good when I finish the PiYo workouts. I’ll keep you posted as I progress. Check out this video to see what I’m talking about. PiYo Workouts – My Week 2 Review! GET YOUR PIYO CHALLENGE PACK HERE!